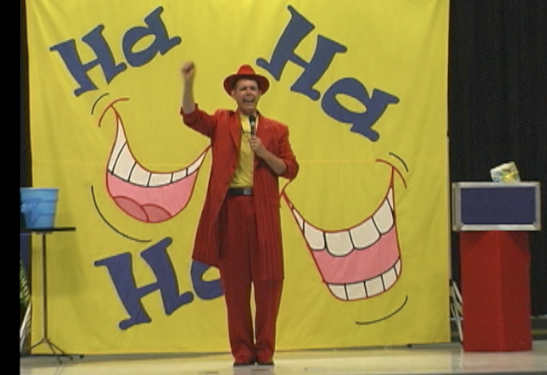 Old fashioned magic show for kids. This is the only set suitable for outdoor performances. "Customize the show" available only on select packages. Santa Claus is Coming to Town backdrop. Perfect for country clubs, malls, parks & rec events. 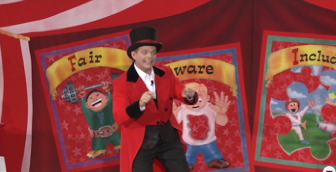 The World's Funniest Magic Show* is a go-anywhere, perform-anywhere, comedy show for family audiences. 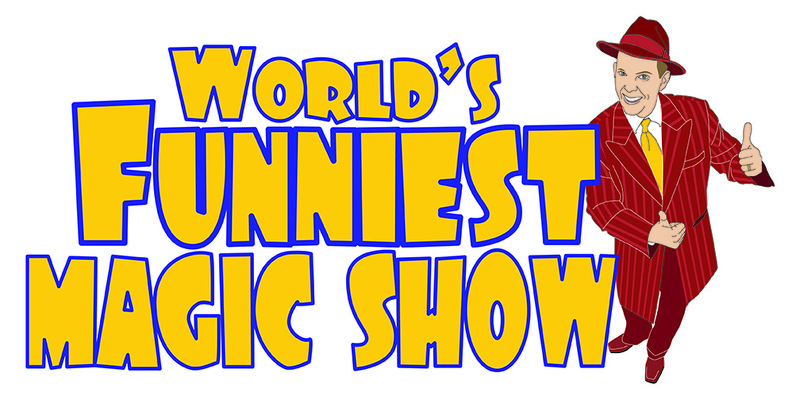 You'll laugh at the insane stunts, wacky contests, hilarious audience participation, and magic that you've never seen anywhere else. 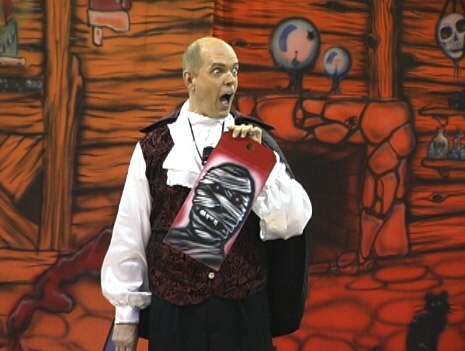 Plus this show can be adapted to fit your event with your choice of 6 different backdrops and various costumes. Choose the curtains and outfits that are best for your event. Are you having a Halloween Party, Christmas gathering, or summer festival? 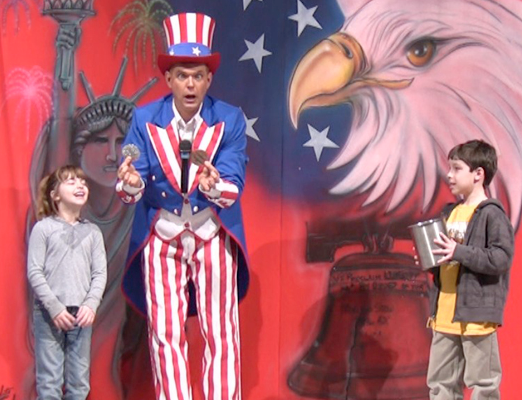 Just let us know and these curtains and costumes can be added to the show at no extra charge. There are 6 backdrops to choose from, along with 6 matching costumes. 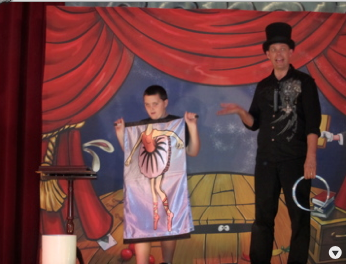 All are suitable only for indoor performances except for the Old Fashioned Magic Show backdrop. Tell us your needs and we can discuss what's best.